I've know Leena since I was 6 weeks old... no really! That is when she was born. We grew up together like sisters. We love each other like sisters, and we fight like sisters lol! When I learned of her initial illnesses including Chrones disease (since she was a young teen), I was heart broken. She is a fighter though and pushed on through not missing a beat. And then she had more problems and got really really sick! It was really scary. We all thought she would need a liver transplant. She was diagnosed with Primary sclerosing cholangitis. Her doctors were able to work miracles on her poor liver and saved her life, this was a shocking and unexpected 14 hour surgery! They found a horrible tumor and removed as much as they could. She is diagnosed with cholangiocarcinoma, which at her age is terminal. She is now fighting for her life AND trying to enjoy her life as every second counts. Little the tumor Billy is going down! Even with way more illness and pain than any one person should have to cope with, she is STILL fighting with a smile on her face. She is STILL giving the world her all. She continues to volunteer, currently working with grade school children. She has always been a giving person, giving herself to her communities and volunteering at organizations like Horses of Hope. She's never stopped being there for me, and I will never stop being there for her. 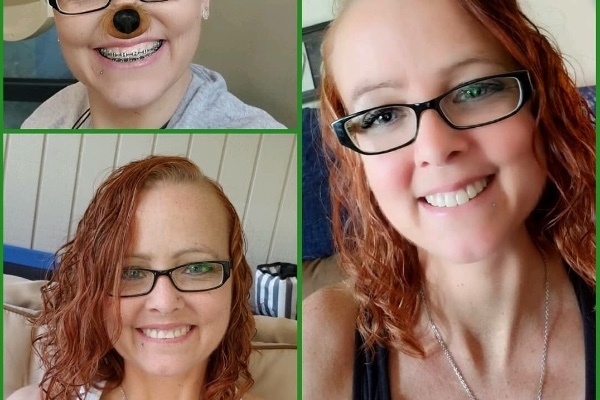 I want to help her as much as I can with costly medical bills (Chemo, surgeries, countless appointments) as well as help her get to the Cholangiocarcinoma Foundation conference in January. The conference attendance is so important as it is how they raise funds to research a cure for this terminal cancer. The bills will be mounting but even if we can chip away at a few and give her and Bob some time together at the conference, we can help. Even a few bucks goes a long way when we all come together.